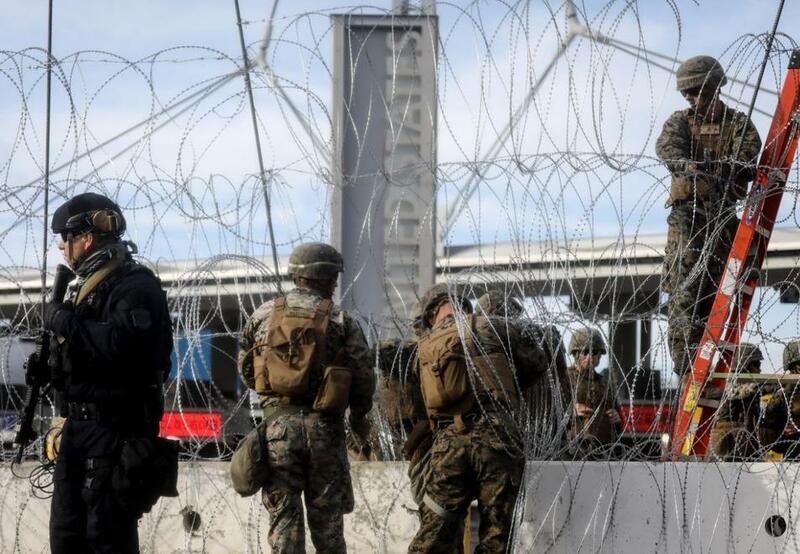 The Pentagon confirmed that the soldiers posted at the southern border with Mexico to help contain the various migrant caravans from Central America will remain at their stations at least until the end of January 2019. As from the beginning of February 2019, the total number of soldiers would be reduced from about 5,800 to 4,000. Initially it was the intention that the extra soldiers would leave mid-December but given the tense situation around Tijuana at the moment the White House administration decided to lengthen the deployment. Related coverage: Caravan - Tijuana Confirms TB, Chicken Pox And Lice Become Endemic Among Migrants. The deployment of extra troops was a decision by President Donald Trump. In the run-up to the mid-term parliamentary elections on 6 November, the migration theme played a major role. The soldiers had to strengthen the border guards. Several groups of thousands of migrants have traveled to the US from Honduras and El Salvador in recent weeks to request asylum. Most of them are currently stuck in the Mexican border town of Tijuana, where they are also not welcomed with open arms. After a stay in the city's sports stadium, they are now transferred to a larger, covered accommodation awaiting the processing of their asylum application. The migrants claim to be fleeing poverty and violence in their own countries. US President Trump repeatedly warned during the election campaign of "an invasion" of violent groups and was proven right last week when 500 of them simultaneously try to break through the barriers between the US and Mexico. The extra soldiers have so far been mainly engaged in the installation of barbed wire at the Rio Grande on the border with Mexico. What no body bags ? say what you will, The Donald has(at the very least) tried hard to keep his promises... How many President's can say that? 100% correct. Never has any politician been so true to keeping his word. All the while being foiled at every turn. He has still managed to make good on so many of his promises.